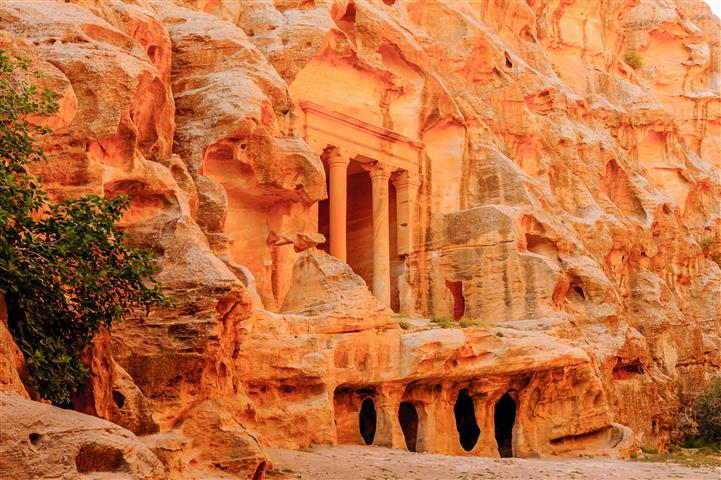 Petra was built by the Nabateans, they resided here about 312 B.C. 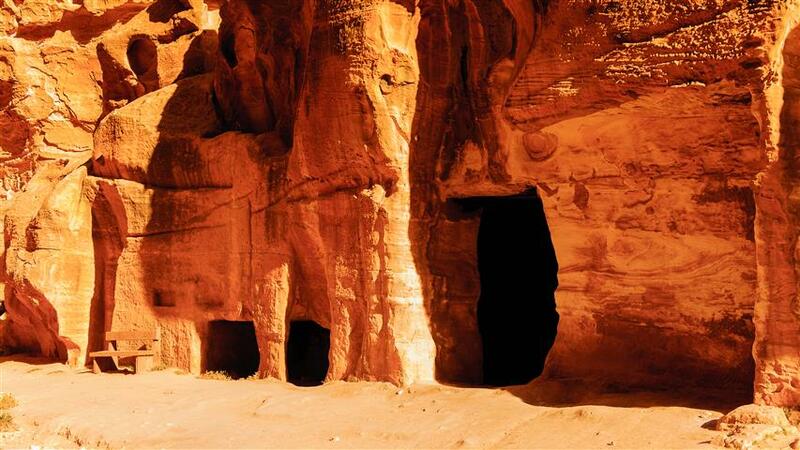 It is the most visited attraction in Jordan. 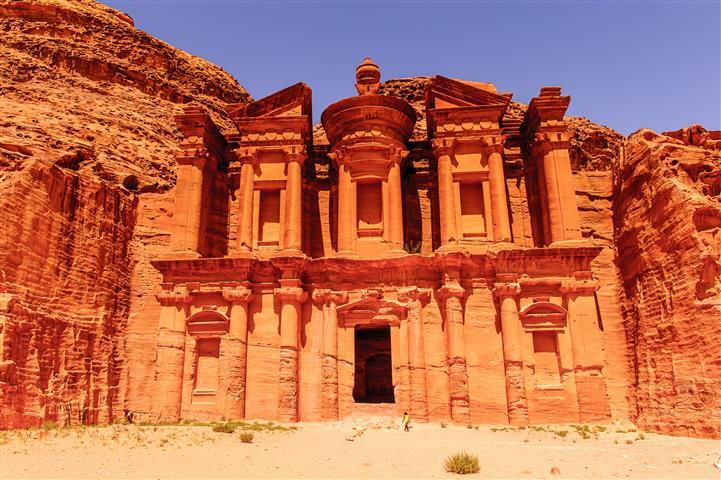 Petra is famous for the Treasury, which is carved into the sandstone, and is one of the most amazing sites to see. To get to the Treasury you have to walk through a pathway in between two mountains called the Siq. 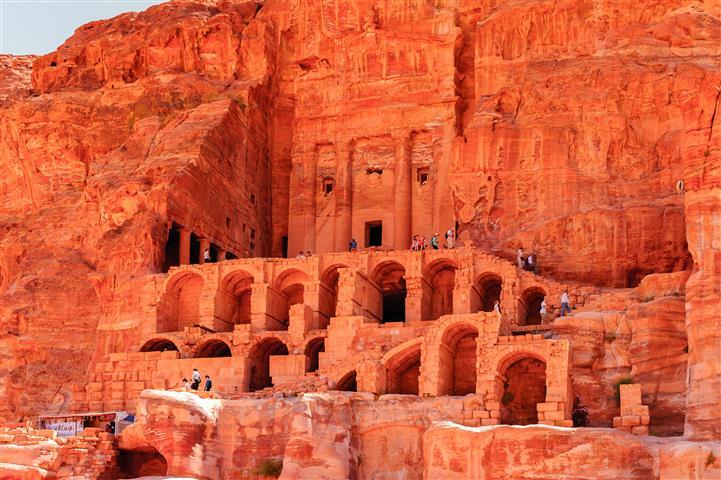 In Petra there are over 800 structures, an amphitheater, bath houses, tombs, and much more. 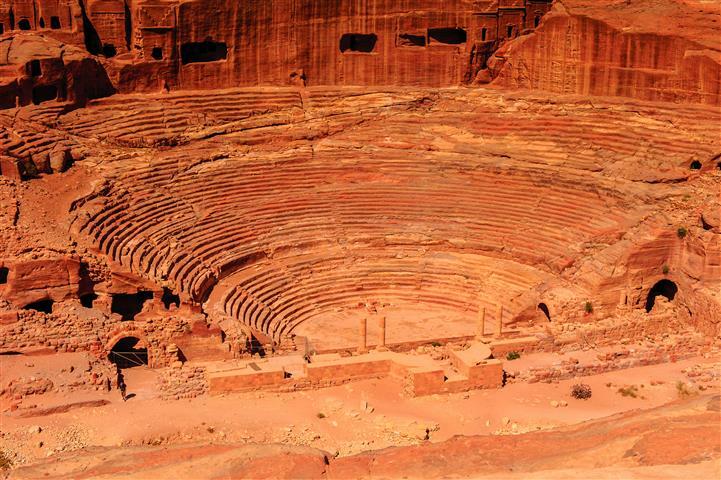 With your free evening you can do Petra by night, it has an entrance fee of $15 (not included). Does not run on Thursdays, Fridays, and Saturdays. 06:30 AM - Flight from Tel Aviv Sde Dov Airport to Eilat Airport. 08:15 AM - Transfer from Eilat to Arava border with our professional crew. 08:30 AM - Transfer from the border to Petra. 11:00 AM - Arrive at Petra's historical site. Start the tour in Petra. 05:00 PM - Free evening. 06:30 PM - Ariving in Aqaba for a short panoramic tour of the city, depending on our time of schedule, we might consider a walking tour as well. 10:05 PM - Flight back to Tel Aviv. Flight from Tel Aviv Sde-Dov Airport to Eilat Airport and back (Round-trip). Transfer from Eilat airport to Arava border with our professional crew. Transported in our newest model of air-conditioned cars / vans / buses. English speaking Jordanian tour guide. (Other languages are available for extra cost). Lunch at a local authentic restaurant (Day 1). Professional tour guide in English. (Other languages available for an extra cost). Border fees and tips ($65 special fee for crossing Israel-Jordan border for over-day tourists. Border fees may change due to currency rates changes). Available luxury hotels for an additional $70 per person. .A valid passport and landing card is required on the day tour. We require nationality, passport number, place & date of issue, birth date, and expiry date for reservation. Don't forget: Very warm clothing in winter. Hat in summer, with cool comfortable clothing, and comfortable walking shoes.